LAST week I sat down to coffee with a former junior colleague of mine to whom I first revealed my ‘Toilet Approach To Work’ thesis months ago. Unbeknownst to him, I had designed a mini-project to alter the way he lived his life and heighten whatever positives he might have, without presuming to be his mentor. The process was lengthy and threatened to be frustrating, especially because he tended, like many do, to avoid my grumpy, critical and seemingly judgemental presence. After realising that my tips and hints were probably just littering the air around him, and almost suffocating myself with the resultant frustration, one morning I snapped and summoned him for a chat. It went well in that he listened and responded appropriately, but he kept blocking my points with excuses and reasons. I had learnt the conflict resolution tactic of looking away briefly from your opponent/adversary, and as I did so to avoid an explosion at the young fellow, my eyes fell upon the toilet door. We don’t plan our trips to the toilet (in general); we get an urge that is biologically stimulated, and our bodies respond to it as and when required. Work should not be approached the same way; work needs to be approached with purpose, plans, objectives, motivation and energy. The ‘Toilet Approach to Work’, I told him, covered the tendency people like him had of approaching work the way they do the call to the toilet. For instance, some people go to the toilet and don’t even know what they will do once they’re there. They start at the urinal bowl, then find themselves having to sit on the toilet. Even then, they are totally unsure of the quality of their output, solid or not. Either way, approaching work like one does the toilet generally results in waste material. You don’t plan anything and just present yourself and the relevant bits of your digestive system, then biology takes over. Whatever you’ve got is what you let out, until it’s done. Approaching work like one does the toilet also leaves a foul smell, evidence of the quality of work you do, I told him. And to avoid the foul smell lingering, approaching work like one does the toilet necessitates the application of air deodorisers and whatnot, which is an additional cost to the workplace correcting what you’ve done wrong. He shouldn’t, I insisted, approach work like he was going to the toilet. Instead, I implored the fellow, plan your day, set measurable targets, and spend time at work ensuring that you’re being useful and producing stuff that your colleagues will be pleased to see after you’ve left. Then they screw their faces up into serious looks as if heading into the cubicle to concoct the cure for Ebola. That, I explained, is the same as making empty promises to deliver reports “by COB” and “OTIF” and “meeting targets”. If you’re going to do something, just do it! In the toilet, you’ve got to keep your head down, aim low, make as little noise as possible, and avoid physical contact with other people; if you do the same in the workplace then you’re a liability. 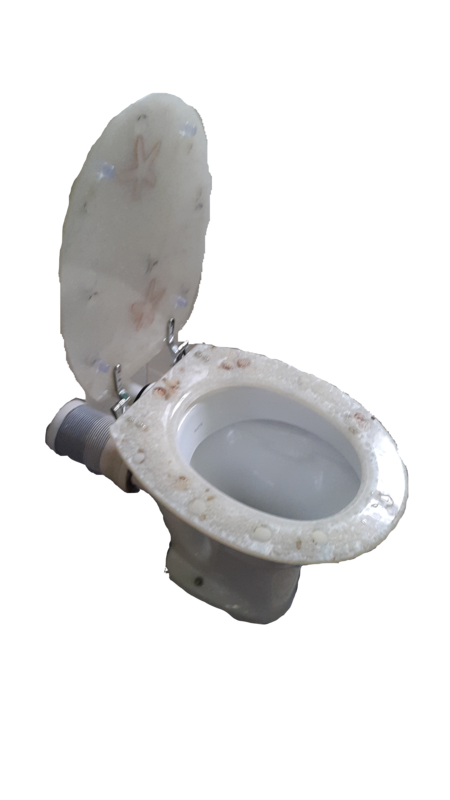 The toilet approach to work, I concluded, is as small-minded as the space allocated to the toilet in any ordinary workplace. Don’t approach work as you do the toilet. And please, ALWAYS wash your hands as you leave. This article should be read by only locals, especially blacks of Ugandan origin. <—See how that feels if you are NOT a local or a black of Ugandan origin? I have failed to get angry at the Shell and Bolton International advert; mostly because The New Vision ‘Class’ article drained a lot of my anger. But I can’t ignore it, and I am on standby to applaud any newspaper that cares enough to run a serious story about this. 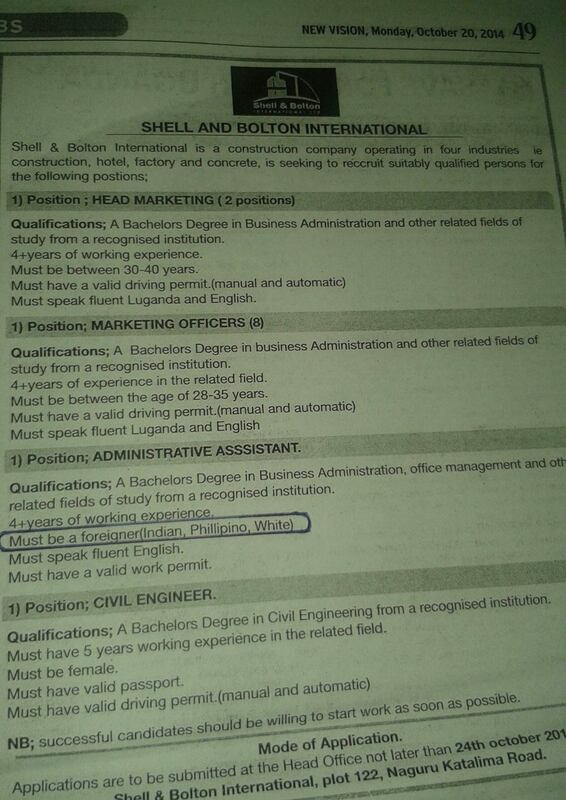 On our part, let’s agree that whereas these Shell and Bolton International guys have officially exhibited both stupidity and racism (thanks @spartakussug, for that one) by way of the below advertisement, we can’t just sit about and either moan or mourn (it’s an inside joke that only Ugandans will get – I warned you about such things in the very first sentence). Now, my initial thought was that this ad was a forgery or a hoax, because many people are that racist but NOBODY is that stupid. Or perhaps it was some experiment such as the Hornsleth Pig naming one where a chap named Hornsleth got people in Mukono District (can’t recall which country) to officially change their given names to “Hornsleth” in exchange for a free pig. if they don’t have a job because work permits in Uganda are issued to organisations, I thought. I checked at http://www.workvisauganda.com/uganda-work-permit-class-g/ and didn’t find actual evidence of this, but someone else will confirm it soon. 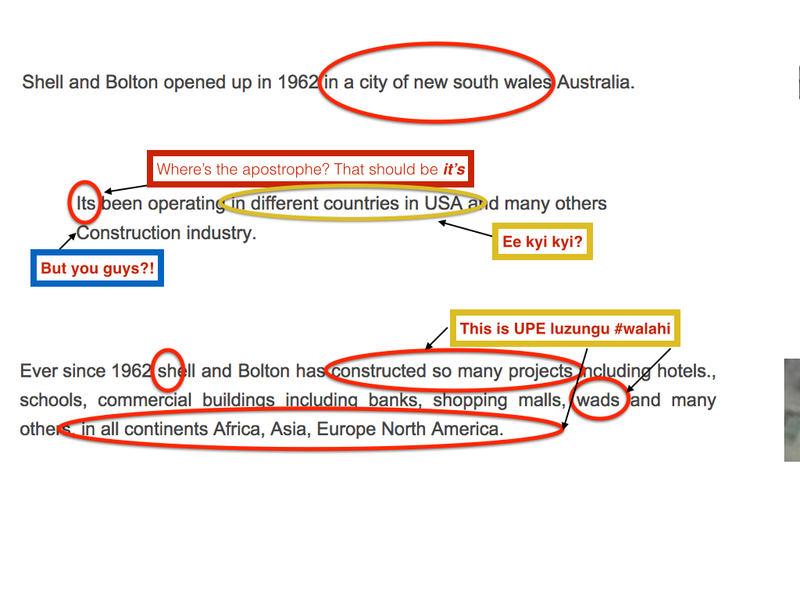 But this suggested to me that Shell and Bolton International is either deceitful or seeking to bend the laws, rules and regulations of Uganda – besides the evidence that they were doing so by being racist. 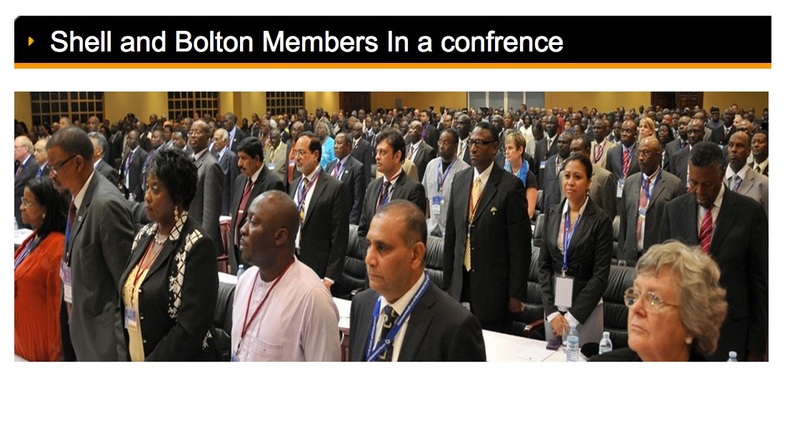 This is where we begin to hope that Uganda’s Directorate of Citizenship and Immigration Control will come into play and rein in Messrs. ‘Shell and Bolton International Ltd.’ for trying to fill simple jobs with foreigners. …and a simple Google search gave me www.shellandbolton.com. The use of “for” instead of “of” raised my hackles as well as the use of the word “And” instead of the ampersand (“&”) that they have in the logo that is pictured right above this damn heading. Do you see what these guys did there? Aren’t you also wondering why the first photograph they have there is of the back view, farthest corner of their so-called “Head Office”? Moreover when the front view is so magnificent as displayed right below the first ka-photograph? Atte, first wait; what is that Shell logo doing there in that top photograph? 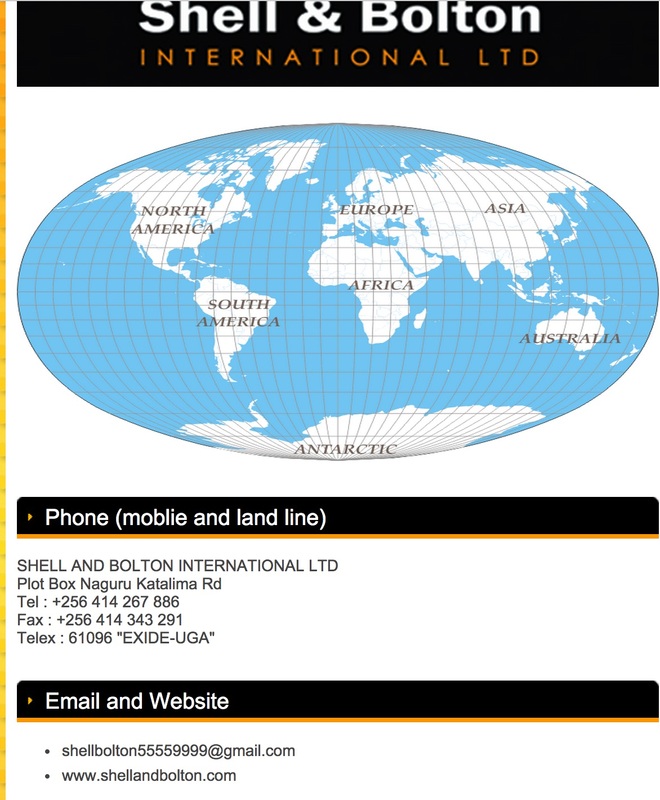 Is Shell And/& Bolton International Limited in any way linked to Shell the oil and fuel company? So many questions. So much stupidity. So little time. Speaking of the Shell logo, what are those other logos there? Are those all the companies that were mixed up to turn Shell into Shell And/& Bolton? One of them is Altran Group, another is Cygate AB, and a third is Integra Engineering AB. Do you notice the ‘AB’ in those company names? 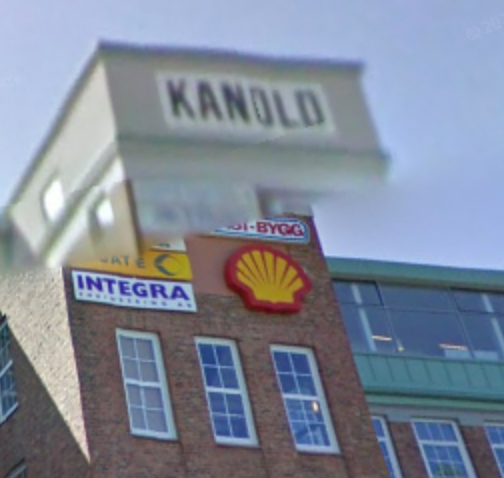 That means the building in the photograph is most probably in Sweden – as this Wikipedia post explains. 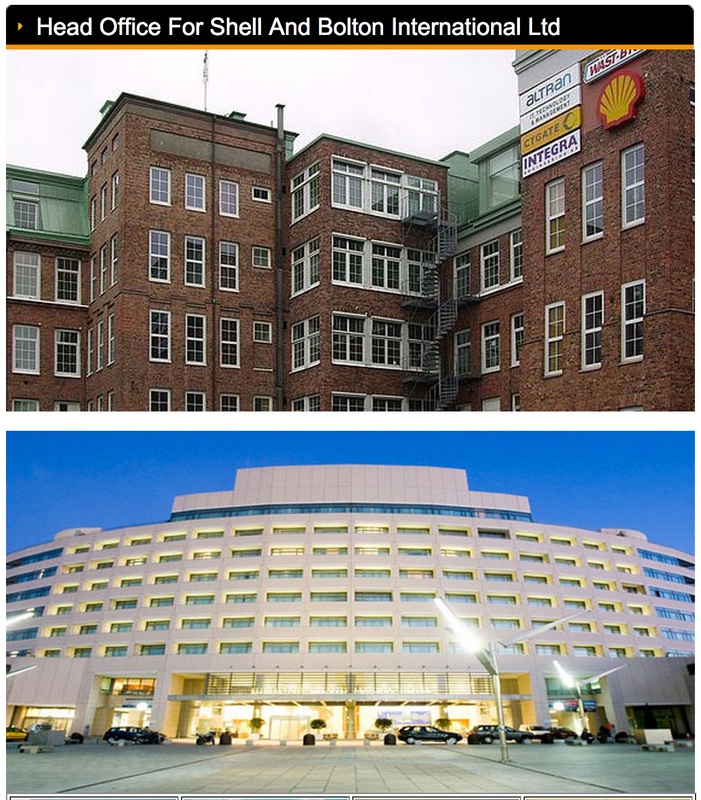 If that is the case, then the Head Office For Shell And/& Bolton is somewhere in Sweden, right? No wonder they need an Administrative Assistant who must speak fluent English, I realised, but then read on and was starkly reminded of those poorly constructed ‘Made in China’ products and the scammer emails we get from internet-based princes and widows of filthy rich bankers seeking our bank account details. Ladies and gentlemen of the Ugandan black public who cannot apply for the position of Administrative Assistant at Shell And/& Bolton International, I present to you one of the co-founders of the company, in the very broken English of the authors of this website. That paragraph in the picture above alone should be comforting to you that you are ineligible for employment with this company in the lowly position of Administrative Assistant to people who would allow the above to be made public. 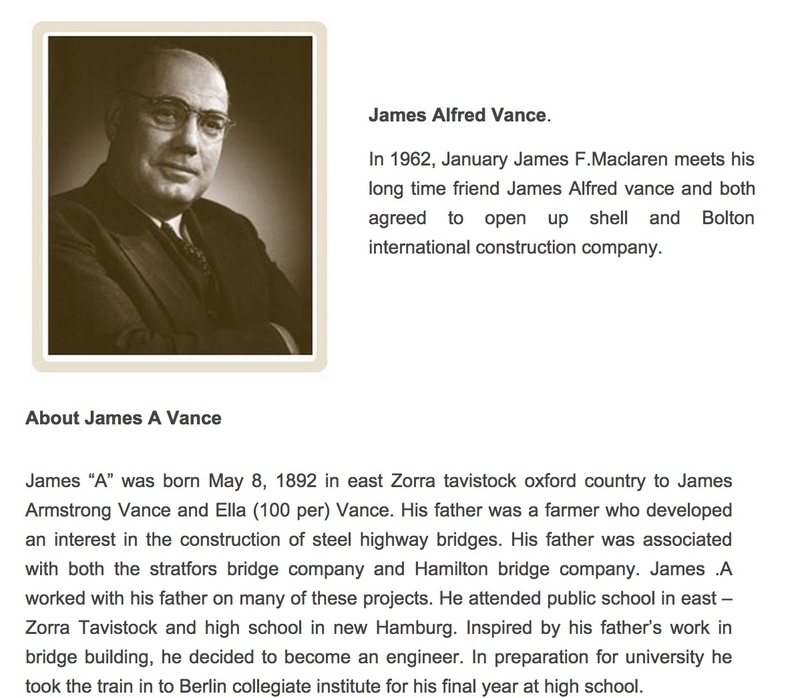 Eventually, the story goes, James ‘A’ Vance’s construction company was sold in 1961 and continues to operate. THAT company website, you should note, appears to be perfectly genuine! 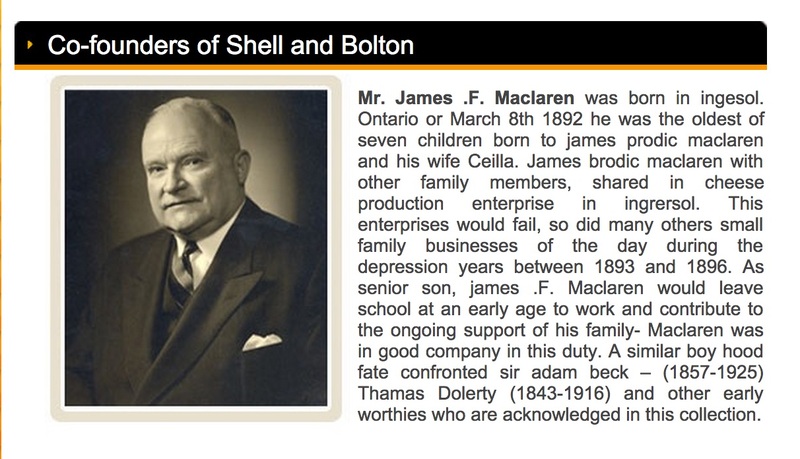 Dr. James Ferris McClaren was a real person and a serious one as stated here: http://www.engineeringhistory.on.ca/index.php?id=22. But let’s not digress into other companies. Read through the rest of the website and the fantasy sounds even more plausible than Eutaw Construction Uganda did. The power of the internet is in overdrive! No! Ignore the mis-spelt word, since we read newspapers, job applications and official reports here every day and life goes on unhampered. WHAT ARE “Shell and Bolton Members”? How can we tell these are the ones? Is the lady front right an Administrative Assistant at the company?! The official contact address for this company that was started in Australia by people who grew up, lived, worked and are socially invested in Canada but have a head office in Sweden…is in Naguru, Uganda. The reason they mentioned that “Must be a foreigner” is because they knew it would make their con more genuine. 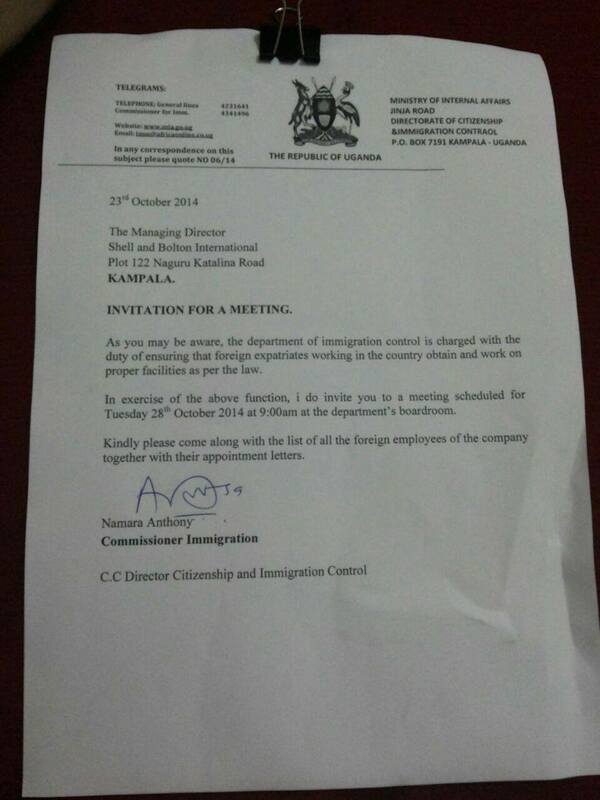 HOW MANY COMPANIES IN UGANDA RESERVE CERTAIN JOBS FOR FOREIGNERS EVEN THOUGH UGANDANS CAN DO THEM VERY WELL? THOSE companies are too clever to let you see what they do when they practice their version of racism; employing certain people to certain jobs rather than indigenous, local, black Ugandans or even foreigners who are black. Seriously, point me to the “expatriate” closest to you and give me thirty minutes to present you with a Ugandan who could do the very same job they are doing. Choose from amongst the Chief Executive Officers, Marketing Managers, Road Engineers, Financial Controllers and let’s play this game? Show me one company in Uganda whose performance is globally acclaimed because of an expatriate rather than a Ugandan with equivalent education, skills, knowledge and capabilities, so that I concede. Which expatriate employee in any of these Ugandan towns is such a treasure that without him the company would have been enjoying only ‘low-calised’ success? How many work permits issued by the Directorate of Citizenship and Immigration Control really fit the bill especially where a company has to provide “Proof of failure to employ a Ugandan”? The fact is that all the people spitting fire and heckling about ‘racism’ would not have done so if the said damn Shell And/& Bolton International had quietly done their recruitment and taken on their ‘foreigners only’ Administrative Assistants, and nobody would have said a word while processing their massive payments in a currency influenced by their name NOT being Ugandan. Most of you, as various columnists such as Samira Sawlani’s series illustrates, and our own life experiences show, would give Shell And/& Bolton International preferential treatment over Kasiwukira (may his soul Rest In Peace) just because of their name! But now you are complaining about racism because somebody has said “I AM RACIST” yet if they had been racist without actually saying so we’d have been all kawa and continued playing the fool. This nonsense has to come to an end soon, guys, and the mental laziness and slavery that allows it to happen should be stopped as soon as possible. I wish I knew who first read and circled and circulated that offending advert because that person is A HERO! Why didn’t anyone at the advertising department of The New Vision spot this? Do they not read the finer details? How many media houses in Uganda have stopped to actually look into this company and whether it is genuine? And have the authorities gone over yet to Plot 122 Katalima Road in Naguru to check on these agents of Co-Founders James F. McClaren and James A. Vance’s Shell And/& Bolton International Limited? The website was registered by (shafficmuza@yahoo.com) and has its servers in United States . I HAVE had a long day and therefore only arrived at newspaper reading now, at about 2130hrs (though I am posting this an hour later due to the time it takes to type stuff out, upload pictures, recover from an apoplectic fit, and do a final spell check). Skimming lightly over most stories just to get an idea of what’s going on in my country besides Amama Mbabazi’s every and any speculative move/decision/thought, I got to Page 55 of the newspaper and had to sit up and pay some attention. Not because there was some complicated article by a major intellectual outlining some complicated concept that required all my faculties to be on the alert; but because the page contained ten photographs and the word (in caps) “CLASS”. “Beera mu kilaasi?” you ask? Not even two weeks ago we were here celebrating Uganda’s Independence Day, and I even wrote this ‘nonsense’. 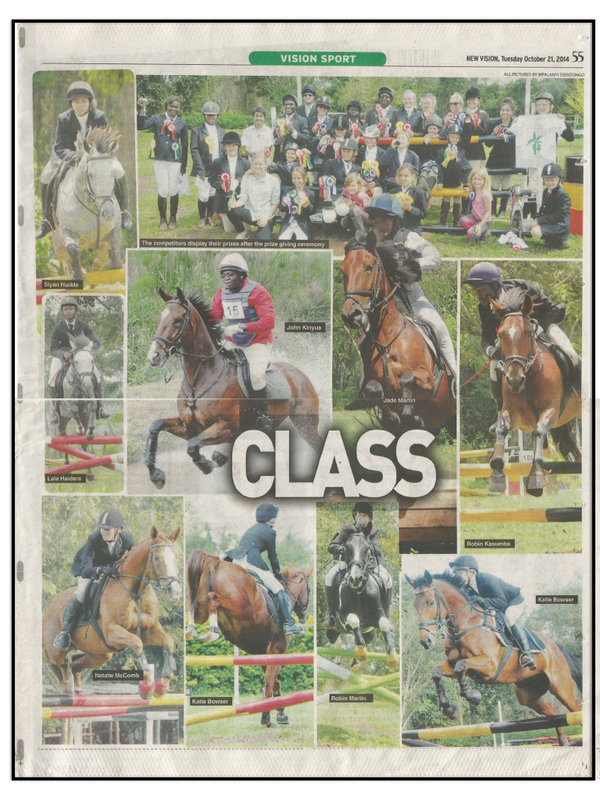 Now, TODAY, in 2014 I am here looking at one and a half pages of a partly government owned newspaper in Independent Uganda dedicated to horse-riding (which is NOT the issue) and titling it ‘Class’? How is horse-riding a sign of ‘Class’ in Uganda today? Forget all the news around the She Cranes netball team that is getting Uganda into the World Cup even though they couldn’t afford water just two months ago; and forget everything else about Sports in Uganda. Today, out of the FOUR AND A HALF sports pages that The New Vision allocated to sports news, ONE AND A HALF have been given to horse-riding. “Eight year olds Kya McComb and Zoe Furness thrilled spectators with their riding skills at the inaugural Equator Cup at the weekend. 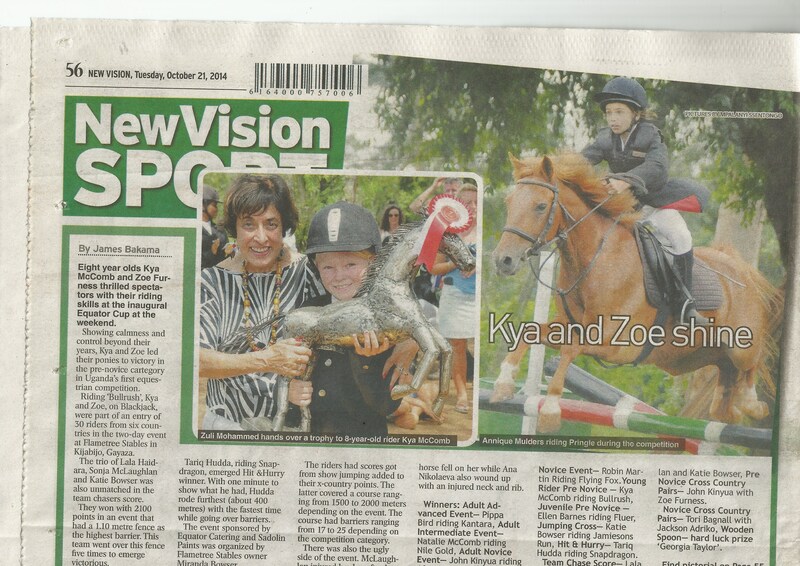 Showing calmness and control beyond their years, Kya and Zoe led their ponies to victory in the pre-novice cartegory in Uganda’s first equestrian competition…” <— okay, they used the word ‘equestrian’ but their mis-spelling of category in the same paragraph has to be a disqualification that discounts it. I don’t even know the names of the kids who dance in the globally acclaimed Sitya Loss video of Eddie Kenzo with its 5,000,000 YouTube views but I know the eight-year old McComb and Furness kids’ names for their “riding skills”? Did they ride their horses over the Marbug virus and kill it? Did their horse-riding attract massive amounts of foreign investment into Uganda? They rode ‘Bullrush’ and ‘Blackjack’ “in the two-day event at Flametree Stables” n Kijabijo, Gayaza (you BETTER pronounce that properly as you read it!). And they were not alone, the elaborate story further lets us know. You may now be wondering how many Ugandans ride horses every day to warrant this sort of attention, but I suggest that you desist from the mental anguish this line of thought might lead to. Don’t even ask yourself whether any British newspaper covered the Bikka soccer thing that happened in Britain last month – or was it even Bikka? Or soccer? Or in Britain? And the mental debate over whether a British newspaper would cover Ekigwo if the Ugandan community there lost it to the extent that they staged one should also not arise unless you want to exhibit your lack of ‘class’. In fact, I feel funny, now, italicising all the words that appear in vernacular. Maybe going forward I should just leave them as they are so that I stop deferring to this mindset. Even as I am agonising over these horses being ridden in Kampala to the extent that my leading daily can allocate this space to the event, my very own President and those of Rwanda and Ghana are in London attending the Global Africa Investment Summit (TGAIS) and no British newspaper has allocated much space to THAT! Yet the above-listed are exhibiting ‘class’ riding beasts whose very existence in our day to day lives here is more of a story book feature than a reality. Again, we only celebrated Independence on October 9! Twelve days ago. We ‘achieved’ same said Independence fifty two (52) years and twelve (12) days ago. But our minds are still enslaved. How many of these horses were born in Uganda? Do they eat Ugandan food? Are the jodhpurs <— I can’t even believe that I spelt that word without a single mistake the very first time round!!!!!!!!!!!!!! 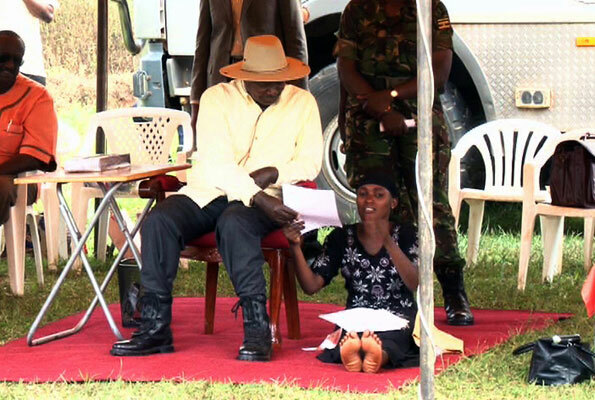 Anyway, as I was saying: Are the jodhpurs made in Uganda? Is any part of the outfits that these people are wearing as they exhibit ‘class’, made in Uganda? Were the barriers that they jumped also made in Uganda? Is Black Beauty a racist story subtly designed to make us feel inferior to horses or something? And the entire sports department should be taken for some programme to rid them of this notion that engaging in an activity that dates back 4000 years in a land far, far away does NOT automatically translate into exhibiting ‘class’. But even as that happens, let’s stop being so stupid as to just allow that we are so insignificant that our lives can go by accordingly as we talk about Oscar de la Renta and Oscar Pistorious and even these bloody horses ridden by …okay: Adriko and Kasumba. And I hope that the advertising revenue from this event goes in some way towards getting the She Cranes some additional sponsorship to the World Cup. ONE morning this week, a friend of mine texted us a call for help; his internet connectivity was faulty and he had failed to get a response from the provider’s Customer Care department, so he needed the contact of “someone” in the company “to help”. We fell upon him like a tonne of bricks; questioning why he was so accommodating of a service from a corporate entity he was presumably paying money to yet he often rants angrily when some government service or another does not meet his approval (even though he does pay taxes for it). Some people, however, responded giving him names and numbers of people to contact within the organisation “to help” him. Before he could make the phone calls for assistance, we told him he was subsidising mediocrity, abdicating his customer rights, and most importantly, wasting our own mobile internet packages because we were using WhatsApp. Eventually, he emerged with a scathing blog post that the people at Orange Telecom will not be happy about for a while. But the people who thought nothing of sharing contacts of “helpful” people made me stop to think – and my thoughts rested with three people: two of my brothers, and President Yoweri Museveni. The two Kaheru boys both worked at different telecommunication companies (telecoms), in different departments, but were always fielding phone calls from people seeking their help in resolving or explaining or forwarding or generally helping with some cellphone-related problem or the other. Even after they had left employment with the telecoms, the phone calls and queries continued – for anything, some times without the caller having tried the official channels first. But many of these callers would get to these two boys after having faced massive frustration with the official channels – and it was in very few cases that they asked for the number of the Chief Executive of the telecom, yet I have always felt that if you need intervention when things aren’t working properly then THAT’S who you should call – the ‘boss’. And that’s where the President came into mind; you may have noticed that in recent months the number of ordinary people struggling to break through his security rings at public rallies has increased somewhat. And as he has always done, he shouts his security detail down and has these people listened to only for them to reveal that they have a claim that has met with frustration in the lower orders of the government. And he has to give an ear because at the end of the day he is the one most supremely accountable to them, one and all, and needs to ensure that the government doesn’t lose even a single supporter, or the Party a single voter. And even if it’s not the perfect solution to this problem, I believe it works quite well in getting things done and issues handled. So people like my frustrated telecom customer friend should adopt the methods of those frustrated widows and orphans who cut through highly trained heavily armed security personnel to get to the top. After absorbing the effective frustration of these corporate customer care systems, instead of seeking mid-level contacts a la the Kaheru boys et al to “help”, go straight to the Chief Executive for intervention; after all, he or she is the person most accountable and needs to ensure that the company doesn’t lose even a single customer. For me, personally, the escalation to CEO level is always one step above my first official interaction with the Customer Care people; because the CEO is just an employee of the company. The CEO is senior-most, highest paid employee, with the biggest perks, and therefore the one with the most to lose. I don’t allow them to be ‘bosses’ who are unreachable – and as the President shows when he barks at his security personnel as they try to do their job and stop those widows and orphans from cutting through, WE are their bosses.